This FOCUS Technical Brief invites you to explore the materials and insights the Center on Knowledge Translation for Technology Transfer (KT4TT) has compiled from 2008–2013. We hope they help you to avoid the most common barriers and overcome the most perilous struggles along the Research and Development (R&D) path to successfully commercialize your sponsored project outputs. To that end, we describe the outputs from our own R&D projects. At the beginning, five years seemed ample time to explore and describe best practices in knowledge translation (KT) and technology transfer (TT). The Center on Knowledge Translation for Technology Transfer (KT4TT) was awarded to the University at Buffalo (SUNY), Center for Assistive Technology (CAT) on October 1, 2008, by the National Institute on Disability, Independent Living, and Rehabilitation Research (NIDILRR). Now in 2013, at the end of this funding cycle, we realize that much remains to be understood and explained in the realm of KT for TT. However, thanks to careful planning and budgeting of time and resources, we were able to meet and even surpass our initial goals to generate new conceptual frameworks, develop prototype inventions, and facilitate the transfer of innovative products to the marketplace. Each project's purpose and the resulting outputs are described, along with web links where you can access more information. For a recap on our progress through the years, take a look at our previous newsletters at http://kt4tt.buffalo.edu/news. Explore the Need to Knowledge (NtK) Model to understand the key success factors involved in new product development. Copyright © 2012 Center on KT4TT. Used by SEDL with permission. The NtK Model is freely available on our website and can be viewed in two formats. First, a table versionFootnote 5 allows users to explore the supporting evidence related to each stage and step by clicking on magnifying glass icons . Toolbox icons bring users to listings of tools for conducting technical, business or market analyses, which may be called for in specific steps of the framework. Case studies drawn from our internal team's own prior commercialization experience highlight each stage by providing an example for completing a critical activity. 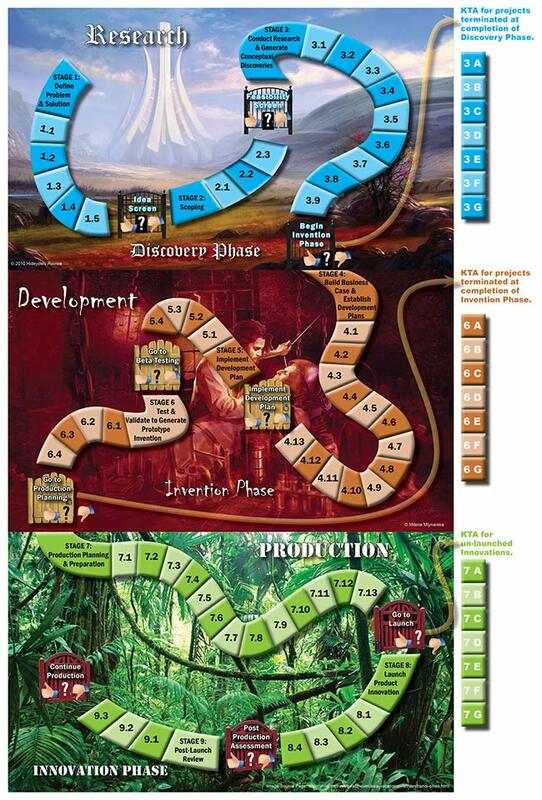 A second version of the model appears as a game board where users can click on a path to uncover stage and step names (see Figure 1). We plan to expand the game board's capabilities to offer “what if” scenarios as illustrations of what works, what doesn't and why. Grantees interested in generating technological solutions to societal problems have found the NtK Model to be useful for writing grant proposals, generating technology transfer and commercialization plans, and better understanding the rigor involved with development and production activities. Another related Implementation Science articleFootnote 6 considers the NtK Model using a logic model framework to help users better understand and apply the model to their own work. Finally, a technology transfer planning templateFootnote 7 is available for investigators to plan their projects using the NtK Model's stages and steps. Assess the extent to which national organizations can help you to share R&D outputs with large communities of stakeholders. Use knowledge translation interventions to increase interest in your own project's findings and deliverables. Traditional Dissemination: delivering hardcopies of previously published articles to participants. Passive Diffusion: where we delivered nothing, but assessed the extent to which people were aware of the previously published articles both at the beginning and end of the studies. We applied a new survey instrument to measure people's awareness of, interest in, and decision to apply the new findings. Results were mixed among the three studies, but overall showed that the extra effort required to tailor and target materials will indeed increase awareness of, and interest in findings across various audiences. However, it appears that no amount of external persuasion will make a person use knowledge. Instead, that decision rests chiefly with the individual. Descriptions of the methods and results of this project are available in a webcastFootnote 12 and in two conference presentations: one reporting the results of the initial study,Footnote 13 and another reporting on the first replication.Footnote 14 A companion manuscript for journal publication is in draft form. If you wish to be notified when it is released, please send an email to: vstone@buffalo.edu. 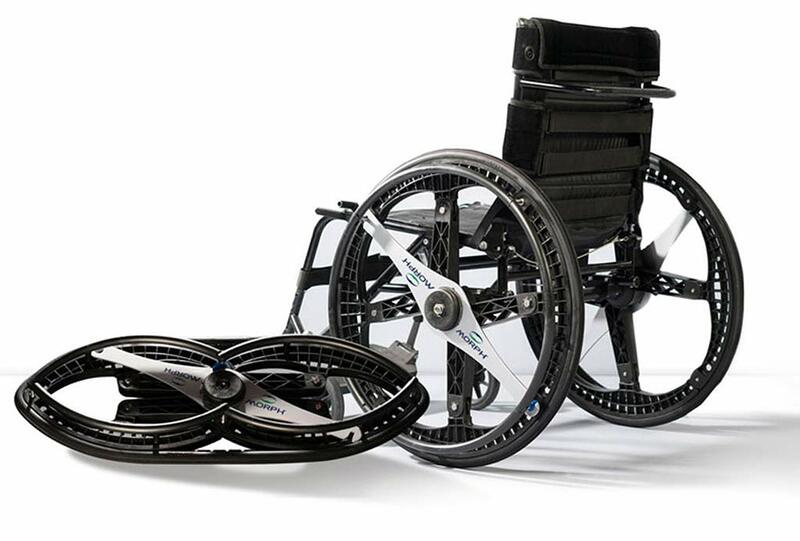 Check out five new Assistive Technology (AT) products now available in the marketplace. This smartphone app for Android™ was developed in collaboration with CreateAbility Concepts, Inc.,Footnote 16 the Rehabilitation Engineering Research Center on Communication Enhancement (ACC-RERC)Footnote 17 and Temple University. The app replaces a lost AAC device in an emergency to allow people who cannot verbally communicate to quickly and easily communicate with others, such as emergency personnel and first responders, who have this app on their smartphones. 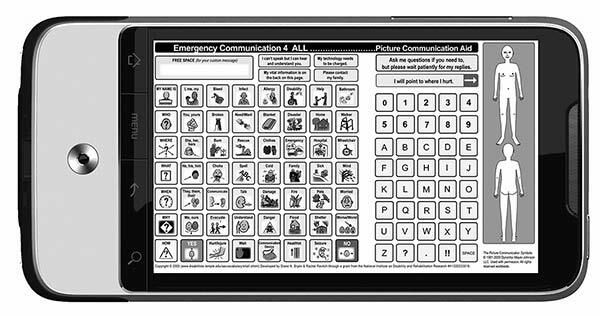 Users can type words or select icons using the emergency personnel's phone touch screen, and the app verbally communicates the user's message. The app covers a comprehensive list of preprogrammed words, and all icons are no more than three pages away. 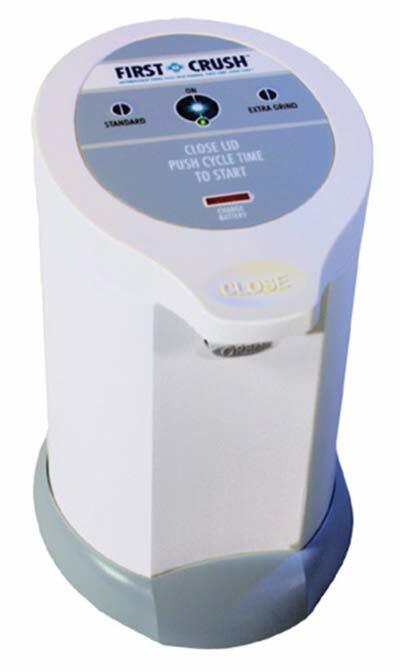 This product is the first ever automated pill crusher, and was conceived and designed by the RERC on Technology TransferFootnote 18 and brought to market by First Wave Technologies.Footnote 19 Its patented 'dual action' crushes and grinds pills, turning them into a fine powder. Full automation provides better staff utilization and reduces repetitive motion injuries by eliminating the strength needed to crush pills manually. Complete RX Cups have a textured surface allowing for direct grinding action, and allow a caregiver to crush, mix and serve from the same container. Copyright © 2010 First Wave Technologies, Inc.
All rights reserved. Reprinted by SEDL with permission. Copyright © Maddak, Inc. Reprinted by SEDL with permission. This easy open/easy close food storage system was developed in collaboration with the RERC for Technologies for Successful Aging with Disability (OPTT-RERC)Footnote 25 and Tupperware Brands. Its unique design reduces the amount of strength required for use–which is an advantage for all people with less than average hand strength, including children, as well as older adults who may have arthritis. The product's tight-grip hinged system ensures that lids are not lost. 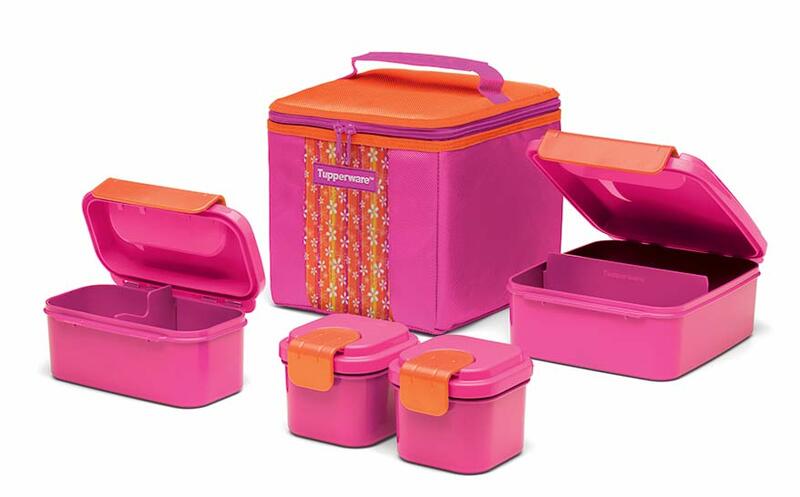 The company picked children as the appropriate initial market entry point, and therefore included an etched half-way capacity measure for portion control that follows recommended serving sizes for kids on the current version of the product. A second version, branded for the older adult population is slated for later release. Image reprinted by SEDL with permission. This electronic ear smartphone application for Android was developed in collaboration with SBIR award winner CreateAbility Concepts, Inc. to help people who are deaf or hard-of-hearing to identify sounds in their environment. The app works with multiple data plans, connecting to the internet via cellular Internet or Wi-Fi, and instantaneously communicating with CreateAbility's server (cloud) to identify sounds. The app supports touch screen and keyboard input, and is operable with Bluetooth® microphones that are optimized for sounds in addition to voice. It can also be used with a dashboard mount to detect in-car sounds from police, fire trucks, and ambulances. 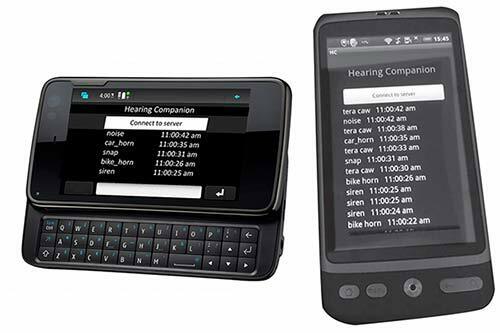 The Hearing Companion comes with a lifetime upgrade on new versions and the license can be migrated to a new phone, ensuring it will be of value to the user for years to come. Hearing Companion, CreateAbility Concepts, Inc. (CCI), Carmel (Indianapolis), IN. Copyright © 2011 by CCI. Android is a trademark of Google Inc. Reprinted by SEDL with permission. Explore a free and accessible knowledge base containing thirty years of information and resources that are helpful for planning, doing and managing your technology transfer and knowledge translation processes. Tap into our publications and presentations to improve innovation policy. In September 2013, the University at Buffalo was awarded funding to continue the Center on KT4TT's work for another five years. The new award begins October 1, 2013, and Center staff will engage in follow-on activities that will complement and enhance the prior outputs and knowledge that were described in this technical brief. A forthcoming email newsletter will detail the new Center's mission, projects, and personnel. To add your name to our mailing list, send email to: smarnold@buffalo.edu with “Add me to your mailing list” in the subject line or body of the message. Or, stay updated on your own by checking the news page on our website at http://kt4tt.buffalo.edu/news/index.php. In closing, we give warm thanks to all who worked with us to produce these outputs over the past five years, and encourage all professionals who serve the disability community to continue innovating! The 5-year Center on Knowledge Translation for Technology Transfer (KT4TT) project (http://kt4tt.buffalo.edu) was awarded to the University at Buffalo (SUNY), Center for Assistive Technology (CAT) on October 1, 2008. SEDL and Western New York Independent Living, Inc. (WNYIL), are partners in the project. SEDL's role focuses on utilization-oriented methods of dissemination, training, and technical assistance to effectively communicate with knowledge producers and knowledge users. The WNYIL ensures that consumer input and accessibility considerations are integrated into all Center activities and outputs. This FOCUS Technical Brief is a product of the SEDL-WNYIL-KT4TT partnership. Jennifer L. Flagg is presently a Co-Principal Investigator at the NIDILRR-funded Center on Knowledge Translation for Technology Transfer at the University at Buffalo. She holds an MBA and has over a decade of experience in new product development, technology transfer, and the commercialization of rehabilitation and assistive technology devices. Ms. Flagg led the creation of the Need to Knowledge Model for commercializing rehabilitation and AT products and services, and has presented her work internationally throughout the U.S., Canada, Europe, and China. She also works to improve best practices in product development locally through her role as Vice-Chair of the Buffalo Niagara chapter of the Product Development and Management Association. The author gratefully acknowledges colleagues who contributed to the concepts expressed herein. This document is a product of the Center on Knowledge Translation for Technology Transfer (KT4TT) and is published by SEDL. KT4TT is funded under Grant H133A080050 by the National Institute on Disability, Independent Living, and Rehabilitation Research (NIDILRR) of the U.S. Department of Education. The opinions contained in this publication are those of the authors, and you should not assume endorsement by the federal government. FOCUS: A Technical Brief is published by SEDL's Disability Research to Practice Program for the Center on Knowledge Translation for Technology Transfer (KT4TT). The contents of this document do not necessarily represent the policy of the U.S. Department of Education, and you should not assume endorsement by the federal government.